It’s the end of the week and I did not lose a pound. Not at least one. I thought I would definitely lose weight this week. I think it could be a plateau and it could go hand and hand with the way I’ve been feeling this past week. I definitely need to re-focus come Monday. 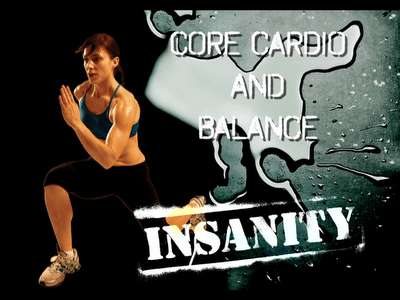 I wanted to lose 3 more pounds to hit at least 20 pounds during my first round of Insanity. There are only 5 more days left to my first round and I’m still determined to lose those 3 pounds. But if I don’t I’ll be happy either way because losing at least 17 pounds has been a great accomplishment already. Today was an early day. I had an earlier start to work and had another great sales day. With all of the walking around I’ll be doing over the next few months, I’m sure I’ll be losing more calories. I had another late workout tonight. Today’s workouts were Fast and Furious and Core Cardio and Balance. Again I am following my Insanity Challenge group schedule and not the wall calendar. I felt like I got a lot more done with Fast and Furious. I think I’m going to take tomorrow as a rest day instead doing an extra workout. I have another day of work, actually I’ll be working for the next 10 days, so I’m definitely going to take advantage of my day off from Insanity. Happy Easter to those who celebrate it!